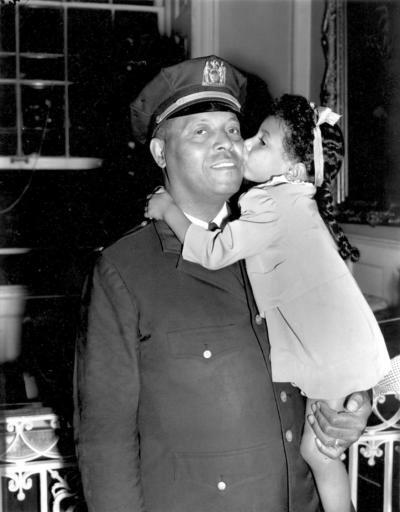 Samuel Battle gets kiss in 1941 from 4-year-old granddaughter Yvonne. via First African-American to join NYPD suffered the silent hatred of his fellow officers | Sports, Hip Hop & Piff – The Coli. I have a feeling Officer Sam Battle would have been just as shaken and disturbed as I was when witnessing on a daily basis children and teens being abused, neglected and unsupervised, which often resulted with them venting their anger and frustrations on their peaceful neighbors.